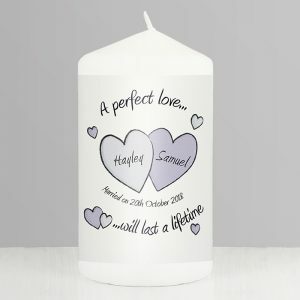 Personalised Gifts made with Love at the Best Prices! 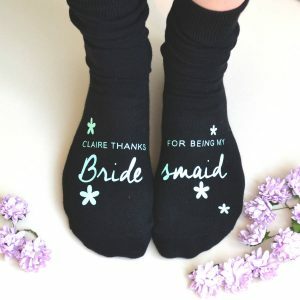 Received a wedding invitation and in a bit of a panic in what to buy? 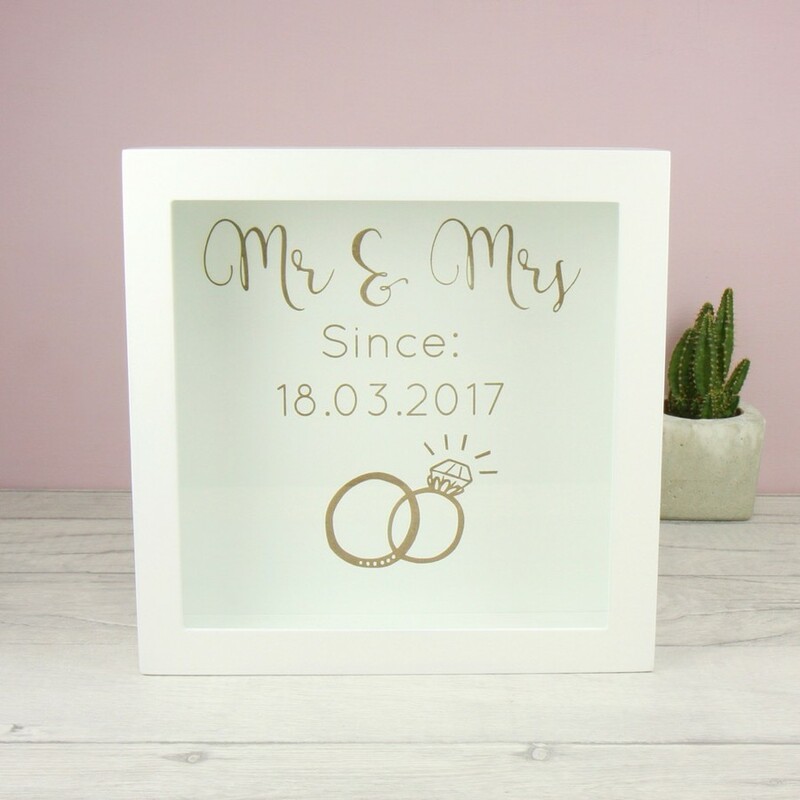 Look no further than our Personalised ‘Mr & Mrs’ Memories Box Frame. A gorgeous box frame that’s perfect for the newly weds, and is a piece of wall art they will hang in their home in a prominent position. 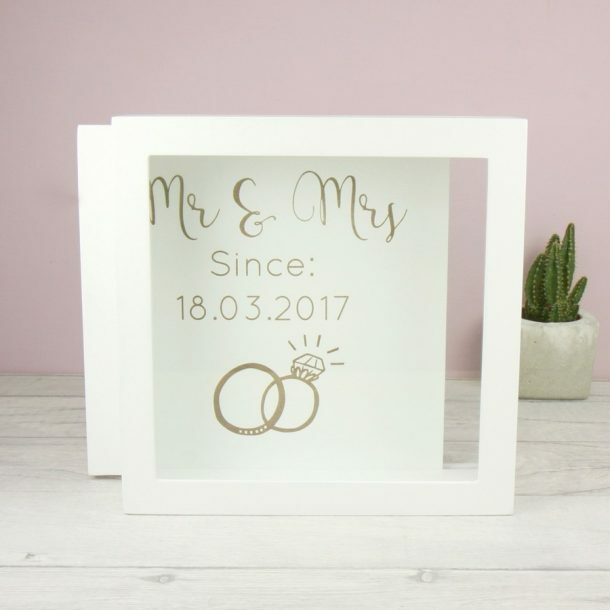 Personalised on the inside with your chosen title and wedding date, the frame also features a large slot in the top of the box to put notes, photos, etc through. The back of the frame can be removed so the contents of the box can be taken out. 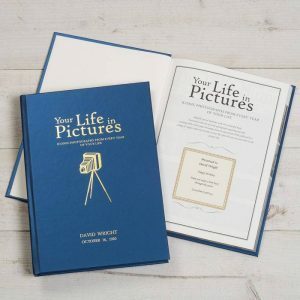 This special day is one that they’ll remember for the rest of their lives and our memories box frame makes a special gift to mark such an occasion. Double check your spelling and punctuation please, we cannot be held responsible for your mistakes. Thank you. 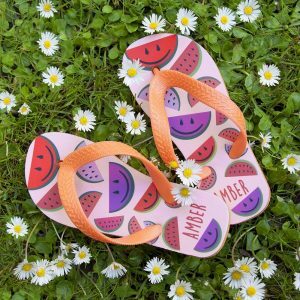 Personalised products are made especially for you and are therefore non-refundable, unless the item is faulty. 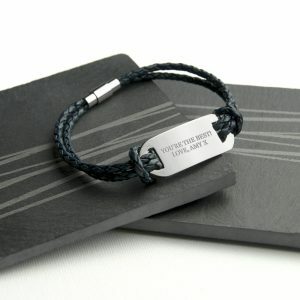 Please do not include accents and special symbols in your personalisation as some of our processes will not allow them. This includes accents above and below the alphabetical or numerical text. If you wish to have any blank lines on your item, please enter a space using the space bar on the line(s) requiring blanks/no personalisation. Why buy from Love My Gifts? Join "Love My Club" for awesome offers and exclusive discounts only available to our members. Payment details are stored with WorldPay or PayPal using leading encryption & fraud prevention tools. © 2012 - 2019 Love My Gifts Limited. All Rights Reserved.